If you brew kombucha, then I’m sure you’ve asked yourself what to do with all of the extra SCOBYs. After nurturing these babies like a mother, you can’t just throw them away, right? You’ve already given one to everyone you know . . . twice. 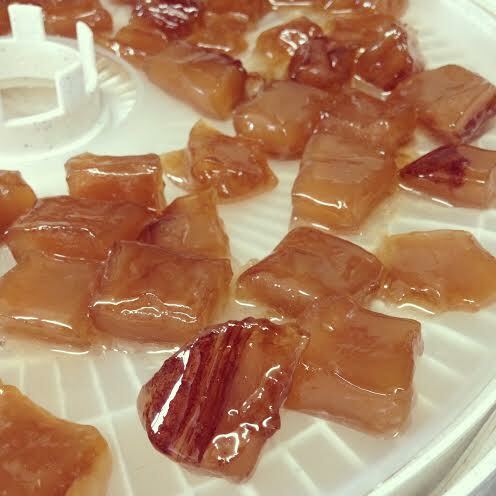 If there are no more vacancies in your SCOBY hotel, then I invite you to make some kombucha candy. Sandor Katz gave me this sweet idea. I made some plain candy, as well as batches flavored with matcha and star anise. 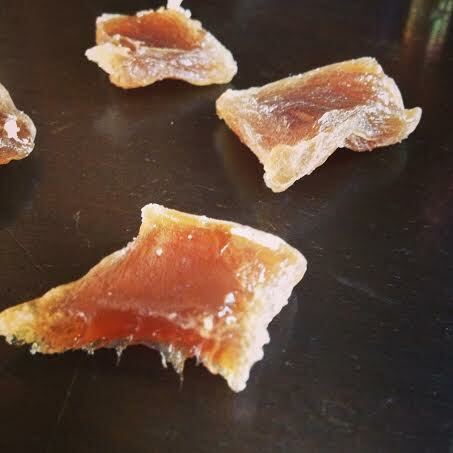 Kombucha candies are like sugar coated gummies. I’m not a big fan personally, but my darling husbatron actually likes gummy candies, so I’ll take his expert opinion. He said that they taste something along the lines of apple with the texture of dried mango or papaya, and likened it to gummy apple rings. 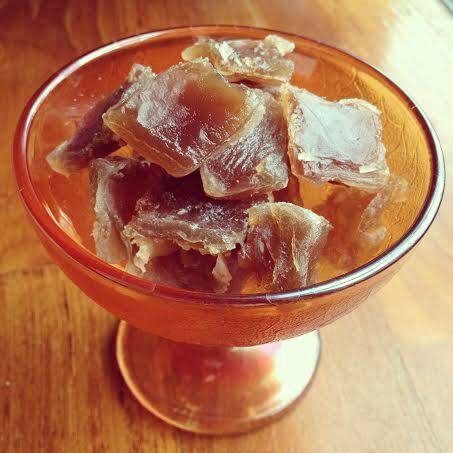 Cut your SCOBY into bite-sized pieces. Put them in a pot and cover with sugar. Heat this until the sugar melts completely. Let the SCOBY bites cool down in the sugar syrup, then transfer to a dehydrator. If you’re flavoring the candy with spices, mix them in while the sugar is cooling, and before transferring to the dehydrator. Start on the lowest setting and let it run until the sugar has formed a dry coating on the outside of the kombucha candy. This can take 24 hours or more, flip as necessary. 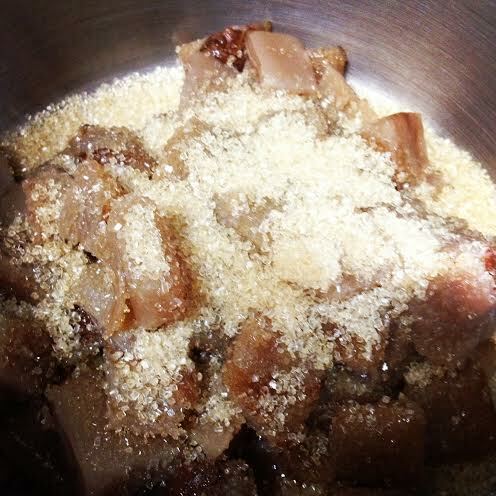 This entry was posted in Food and tagged fermentation, kombucha, kombucha candy, scoby candy. How do you think it would work wth Xylitol or Erithritol? ?